For a woodworker, a drill press is one of the most practical tools that help in enhancing his performance and efficiency. It is the right tool to use if you need to drill holes with a preset depth and would also need to make many other holes consistently with the same depth. So, the best drill press should be absolutely accurate, must help in giving precise results and make drilling efficient and convenient. Drill presses are better than hand held presses because of the ease with which they can drill very deep holes. There are a number of options and brands available in the market. Here is a detailed review of the top three products to help you choose the best drill press for your convenience. This is an extremely important factor while buying a drill press. Different projects need different speeds. The chuck is connected to the spindle, and that is why its variable speed becomes a deciding factor. A single speed drill is of no use. A multiple speed drill that has a range of 500-2000 RPM is an ideal because of the variability it offers with respect to applications. The requirement of the motor power largely depends on the kind of project you are dealing with. If you are dealing with tougher materials and need to drill a large number of holes on a regular basis, you will need a motor that has a higher power, for example, anything around ¾ HP. 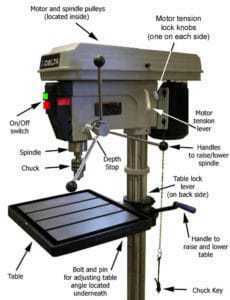 The workstation of the drill press should be such so that it allows smooth and flexible operation. It should be easy to move it up and down the shaft and also rotated at 360 degrees around the column or shaft. 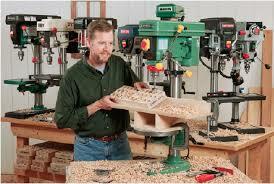 Thus a drill press with an adjustable table and give you that efficiency and safety you are looking for. The chuck size is yet another significant feature of a drill press. It is best to have a keyless chuck that can ease things up for a woodworker. The ideal chuck size should be anything between 5/8 and ¾. The depth stop is the feature that allows a drill press to drill holes at a preset depth through a material and eventually allows you to replicate the same depth if you need to make more holes with that preset diameter. A drill press with clamps keeps the fingers and hands protected from injuries as there is no direct contact with the equipment. A cast iron head provides increased support and also protects important parts like the quill, shaft, and motor, thus enhancing the durability of the drill press. These important points will help you choose the best drill press without any confusion over which features to consider before making a final decision. For a woodworker or a general user of the drill press, it is essential to match his requirements and preferences with the features of different options available. Three of the best drill presses have been discussed below to help you match your needs and the features that would give you maximum benefit, flexibility, and ease of use. SKIL 3320-01 3.2 Amp 10-Inch Drill Press is the best drill for the woodworker in you who looks for greater precision and accuracy than regular hand-held drills. There is an incredible ½ inch keyed chuck that accepts larger bits for woodworking and cutting. Additionally, the square work surface helps to support larger pieces of material that the regular hand held drills cannot. The amazing feature of X2 2-Beam Laser ensures that the hole is precisely aligned and the depth adjustment system allows for consistent drilling without hindrances. The base of the drill press is made of Laser Cast Iron and is therefore quite durable. There are 5 different speeds available that help in cutting clean and wide holes through all kinds of material like wood, metal, etc. This is the kind of drill that should be considered for large-scale furniture making or building projects. Its laser beams make it stand out among a number of other brands because of the precision it helps in achieving. Laser X2 2-Beam Laser that helps in precise and accurate alignments of the drilled hole. As opposed to a plain old drill press, it has the feel of a precision tool. It is an excellent choice for those who need absolute accuracy while drilling holes, which is made possible by the Laser X2 2-Beam feature that ensures precise hole alignment. The five different speeds help in performing wood work on any material and cutting holes through wood or metal is no longer an impossible task. The tilting of the work surface from0-45 also enhances work performance of the user. Consistent drilling is ensured by the adjustability of the depth stop. There is no hindrance while drilling down, thus making work faster and saving more time as a consequence. WEN 4214 12-Inch variable speed drill press is the best drill press for those who are looking for industrial type drilling. This is more of a power tool. With its variable speed and its laser centering device, it is bound to bring back power and action to your drilling process. This is a bench-top drill. 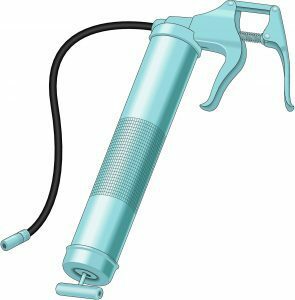 It can easily drill through difficult materials like metal, wood, etc. In 1-inch thick cast iron, its maximum drilling capacity is around 5/8 inches. Different projects need different speeds. This is where the variable speed feature of this drill press comes into play. You can easily target the exact speed, anywhere from 580-3200 RPM and use it as per the needs of your project. While the work is on, the speed can be adjusted by simply moving the lever. There is no need to change pulleys or belts to change the speed. Speed range that is infinitely variable, 580-3200 RMPS. Mechanical variable speed helps in delivering equal torque throughout the range. Speed is displayed by an LED read out. Its 2/3 hp induction motor gives enough torque and power and is quite durable. The iron worktable tilts up to 45 degrees left and right. The construction of the drill press is quite strong, and the head, table, and base are made of cast iron that ensures precise holes. The induction motor is quite powerful and has ball-bearings for greater durability. These features come together to provide a smooth and balanced performance even at considerably high speeds. The worktable tilts to 45 degrees both left and right to assist in providing the perfect right angles consistently while operating on tricky projects. The X-patterned laser can be locked on to your drill points that will save guesswork and spare the use of expensive materials. The design of the drill press uses a mechanical and variable speed that ensures the same power and torque throughout the entire range. Powermatic 1791310 PM 701 ¾ Horsepower Bench Motoriser is a perfect choice for those who need to work on projects that require a lot of motorizing. Although it is quite an investment, you will not regret spending those extra dollars because the end-product will be highly satisfying. This is a benchtop deluxe motorized. The best part about this drill press is the fact that it hardly requires an assembly. You can take it out of the box, install the handle, adjust the three bolts, install the bit and it will be ready. The stock hole down adjusts to the maximum stock height, allowing even narrow pieces to be clamped down. The hold-down clamp and the rollers have separate locking devices that allow maximum precision and easier movement of stock through the machine. ¾ hp motoriser that has a ½ inch chuck, in-line depth stop for consistent drilling and 5/8 and ¾ inch bushing sizes. 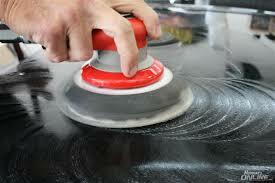 It has a reversible handle that allows both left-handed and right-handed operation. Includes 3/4inch chisel bushing, chuck extension adaptor, both chuck key and handle. The assembly is simple to follow. Some projects require working on pre-set depths. This drill press has an in-line depth stop that allows you to target and stop at pre-set depths without moving the drill bit to the base. With a heavy-duty handle that is reversible and can be changed from one side to another without the requirement of special tools, this drill press is an excellent option for left-handed wood workers who find working with other equipment quite tough. Removing the chisel from the work-piece is quite convenient and can be done without any slippage owing to the stock hold down that features a double-lock system. Positioning is made quite simple with the quick action cam of the fence. The drill chuck can be easily accessed with the standard 4-inch chuck key because of the large-hinged chuck door with a magnetic catch. After a detailed analysis and review of the three best drill presses in the market, it becomes quite tough to choose the best product. 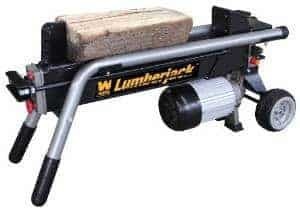 Each one is unique in its own way and provides an enviable range of features that can make woodworking swift and highly efficient. The one product that stands out is the SKIL 3320-01 3.2 Amp 10-Inch Drill Press because of its affordability. With such incredible features and a combination of accuracy, precision and durability, this is the best drill press at a price like that. The price factor along with its features makes it the best product among these three.